The majority of Azerbaijan cities look like huge museum complexes. Without a doubt, Baku remains the most appealing destination for tourists. 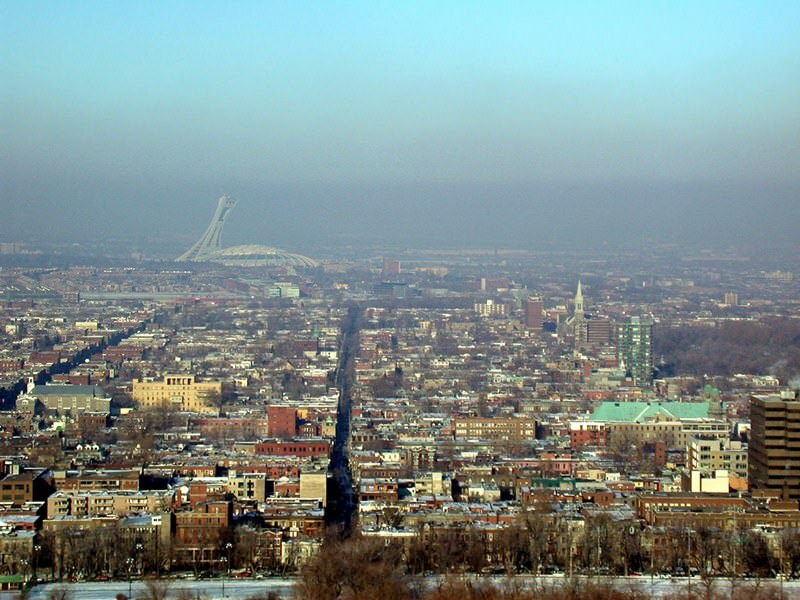 The old part of the city is home to hundreds of historic landmarks, castles and mosques. The Old Town is sometimes even called “the Baku Acropolis”. It is home to such famous sights as the Palace of Shirvanshahs, Maiden Tower, Icheri Sheher Fortress, The Mausoleum of Seyid Yahya Bakuvi and numerous mosques, the most famous of which are Muhammad Ibn Abi Bakr Mosque, Molla Ahmad Mosque, Mirza Ahmad Mosque and Juma. There are also Christian shrines in the city, for example, Holy Myrrhbearers Cathedral. In Baku, you will find more than 30 museums, 7 theatres and several concert halls. 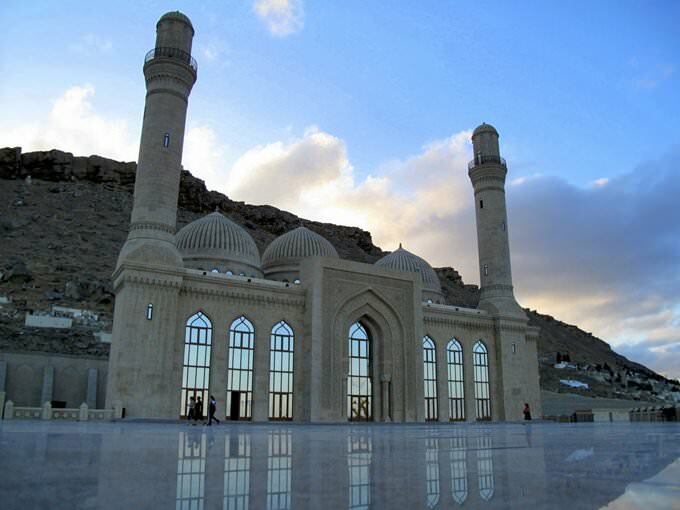 There are also several signature landmarks in Baku suburbs. The village of Qobustan is home to unique rock drawings, many of which were made more than 10 thousand years ago. There are also several medieval fortresses, old cemeteries and awesome caves in the mountains. The size of this culture reserve is more than 100 thousand square kilometers. Qobustan has become an important stop in tourist excursions and trip planning. The town of Semaha is an interesting tourist destination because of its numerous ancient castles and mosques. The most famous museum in the town was named after famous poet Mirza Sabir. 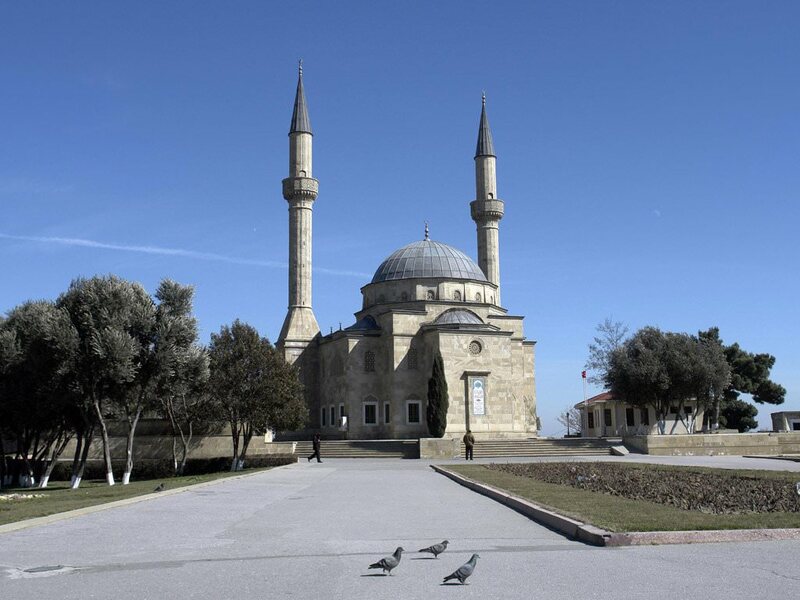 Do not forget to visit Qiz Qalasi Fortress, Juma Mosque and the mausoleum of Addy-Gyumbez. The town of Sheki is known as one of the oldest settlements in Azerbaijan. The town and its suburbs still hide numerous ancient buildings, towers and castles. Most precious findings are exhibited in the Museum of Archaeology. All artefacts there were found during archaeological excavations in Sheki and surrounding regions. 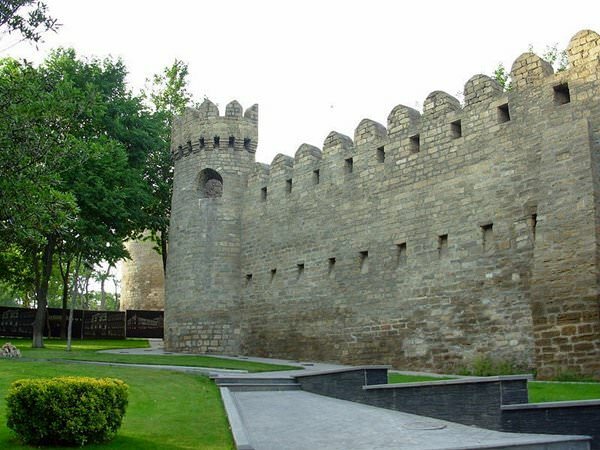 As Azerbaijan is an old country with rich history, there are magnificent old buildings, shrines and monuments in almost every town in the country, and numerous theatres, museums and galleries will make your stay there even more pleasant. The country is visited by fans not only of eventful sightseeing programs, but also of other types of holidays. 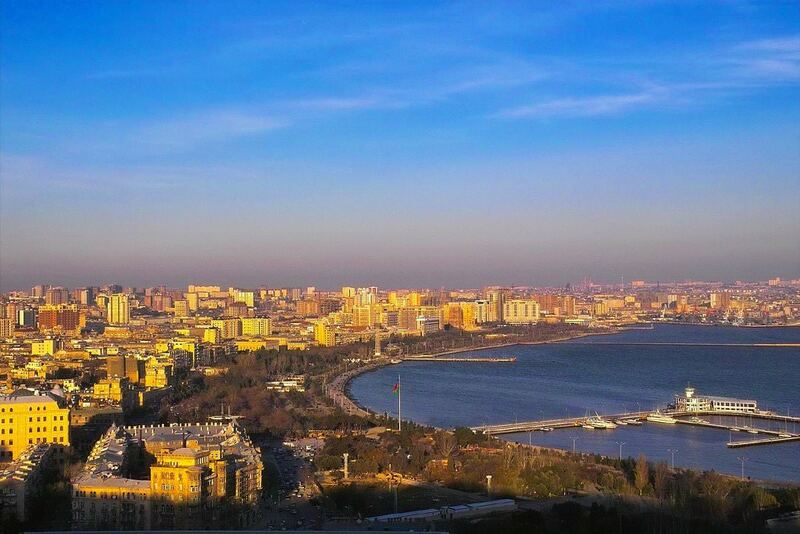 In Azerbaijan, there are excellent beach resorts, the most popular and most crowded of which is in Baku. They are distinguished by the well-developed infrastructure. There are a lot of pubs, restaurants and disco clubs on the coastline. The true leader in terms of the number of beaches is Sumgayit where 20 beaches are equipped. They are covered with white shells. Sumgayit is very popular with families. Azerbaijan also offers the top-rated ski resort called Shahdag. It is located in the namesake submontane district, in the surroundings of Qusar. The main peculiarity of the resort area is its unique nature. Several years ago, the ski school was opened at the resort. There are slopes of different levels and a children’s club. There are also 12 lifts at the resort. Tufan is smaller than its main “competitor” and will impress the fans of a peaceful and calm atmosphere. Azerbaijan is known as a place where a lot of unique wellness resorts are located. The main value of the country is oil. It is actively used in local for sanatoriums recovery purposes. The most famous wellness resort is Naftalan. The extraordinary House on Crutches Museum confirms the successful activity of local sanitariums. There are crutches left by former sanatorium patients who recovered from serious musculoskeletal diseases. The balneological resort of Naxcıvan is also very popular. In its territory, there are several thermal springs and liman lake producing brine and muds. During your vacation, you should certainly combine your favorite entertainments with visiting shops and markets of Azerbaijan. Here, you can buy luxurious silk of the local production, beautiful ceramic items and local craftsmen’s masterpieces. 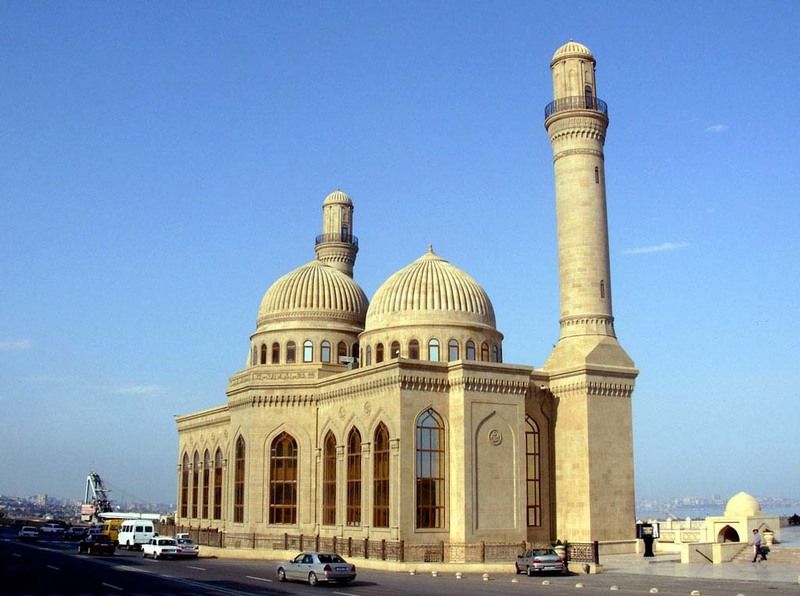 One of the largest craft markets of the country is located in the historical district of Baku. In the suburban district of the capital, there is the Carpet Center. On picturesque markets of Azerbaijan, you can always buy fragrant spices, herbs, Baku baklava, and white cherry jam. This article about iconic landmarks and sights of Azerbaijan is protected by the copyright law. You can re-use the content, but only under the condition of placement of an active link to www.orangesmile.com. Baku – the largest city of Caucasus – is one of the oldest city in the world. There was saved the complex of the Medieval defensive system. 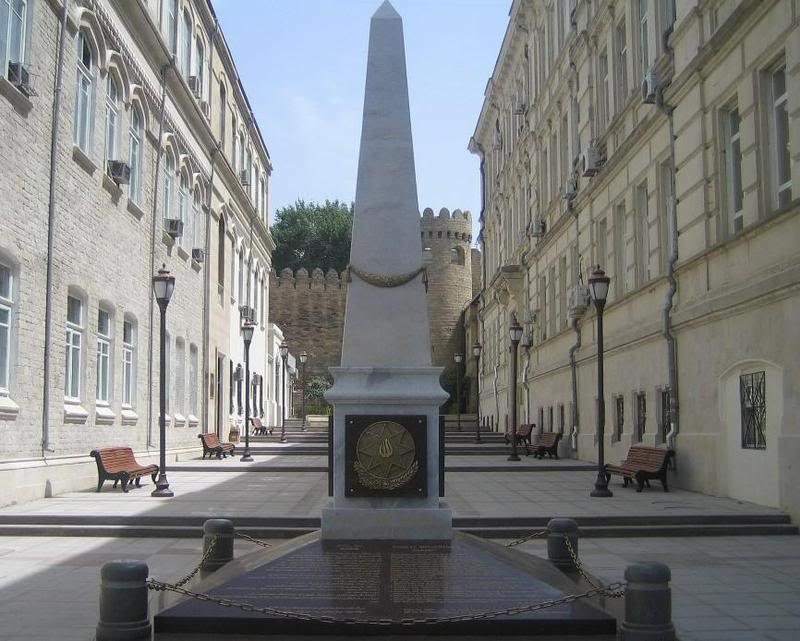 As long years ago, the heart of Baku is the Old Town. Nothing has changed since the medieval time. You can see the complex of the old baths, ancient palaces and narrow paved with stone streets. The most symbolic landmark of Baku is the Maiden Tower. With this tower is connected a number of legends. In Azerbaijan, not far from Baku is the tiny Bulla Island, which is known under the name Hyarya Zirya. On this island in the seventies of the last century the geologist Konstantin Mamedov discovered the mysterious spherical formations. In total, the researcher has found 21 bullets. All the formations had the same structure and were clearly divided on two halves with the deep gating. The scientists involved in meteorite research immediately drew the parallel between the discovery of Mamedov and the mysterious Salzburg meteorite because their sections were similar. 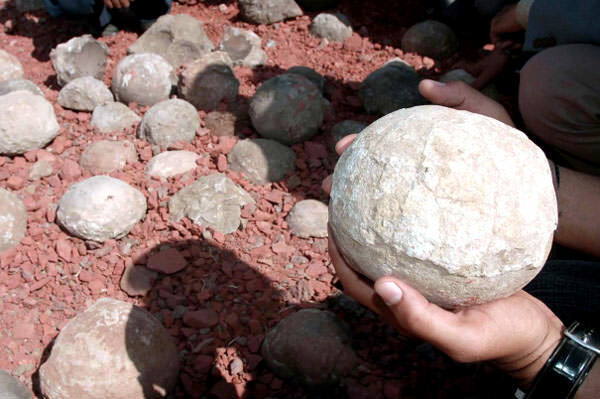 To the research targets, it was decided to split pairs of spheres. All the balls selected were easily split along the joint. From the ecological point of view, the cities of the world are worth mentioning the Azerbaijani city Sumgait - the great center of the chemical industry. 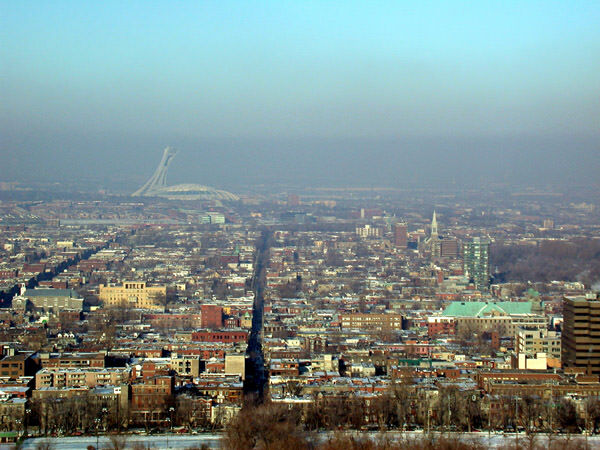 According to 2012, about 285 thousand people live in the city, many of which work in the industrial sector. Gradually, the chemical industry was not the main industry of the city; In Sumgait, today there are large machine builders, food processing companies, as well as the major centers that produce the building materials.